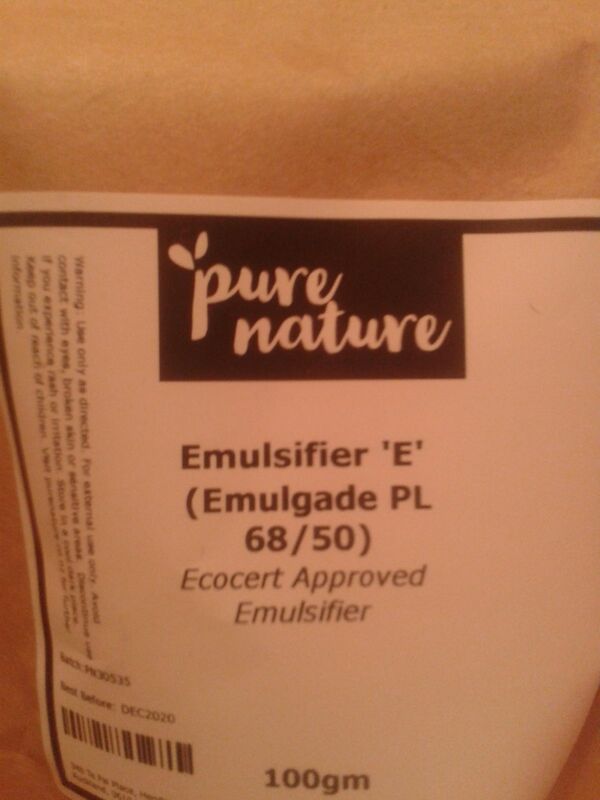 Emulsifier 'E' is a plant-based emulsifier, delivered in pellets. It is a non-ionic, self-emulsifying base suitable for use in oil/water emulsions. It is gentle on the skin and well tolerated even by many with sensitive skin. It has a melting point/range of 60-70°C but should be added to the oil phase heated to approximately 80°C. Nice emulsifier for my light face cream. Great packaging. Great Emulsifying wax. I used it at 6% with only liquid oils and it created a nice thick lotion (still pumpable). The lotion is pure white and not yellow as I expected from this yellow emulsifying wax. Thickens up as it emulsifies and cools down unlike other E-waxes which take several days to fully thicken. Defintley worth the extra money compared to other waxes which are not Ecocert approved. Emuslifier 'E' is as good as Emulsifying Wax (Polawax GP 200), if not better. Sasha V. Reviewed by Sasha V.
Emulsifier E is an effective emulsifier to create a lovely texture to creams and excellent stability. Emulsifier E is ideal with formulating base creams for aromatherapy synergy blends.